A day after losing her Wimbledon title, Serena Williams says her run to the final showed she can still be a contender to win Grand Slams and that this is just the start of her comeback. The 36-year-old American lost 6-3 6-3 to Angelique Kerber in Saturday’s final, as the German capitalized on her error-strewn performance. “These two weeks have really showed me that, OK, I can compete,” she said. The former world number one who has won seven Wimbledon singles titles said she had learned a lot from her past seven matches at the All England Club. 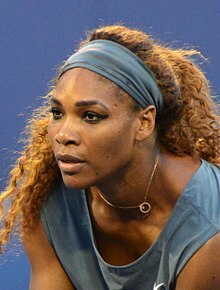 While her serve remains powerful – reaching 125mph, the fastest in the women’s singles – some rustiness showed in her finishing of sometimes routine shots and laboured movement around the court.